Here’s my layout – featuring Jeffrey James 2 years ago. 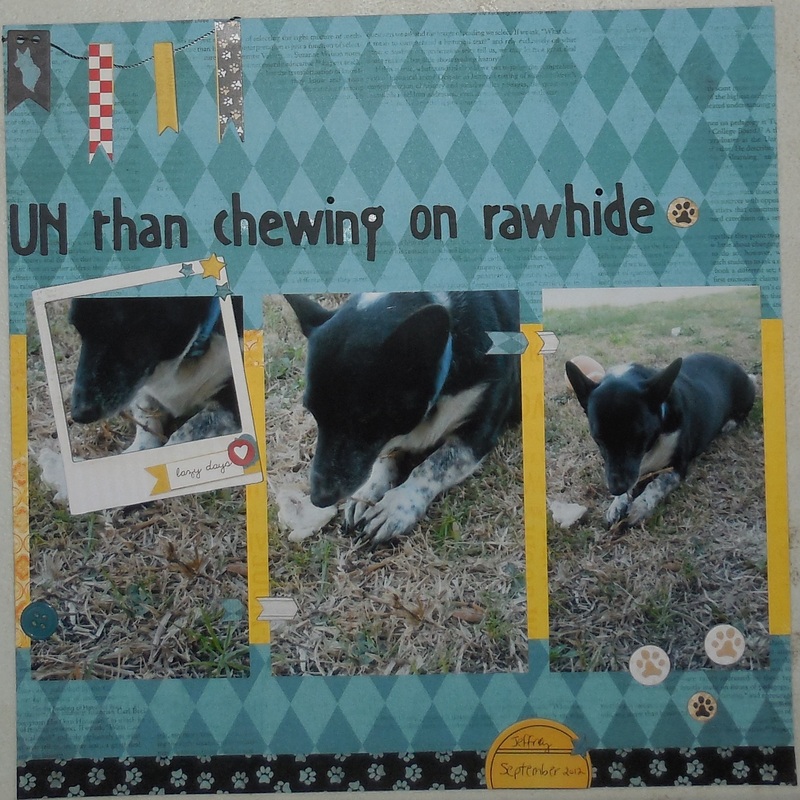 He had taken a rawhide outside and started chewing on it. A second later, he got bored with that and ended up chewing on a piece of dead grass. He did that for a few minutes. 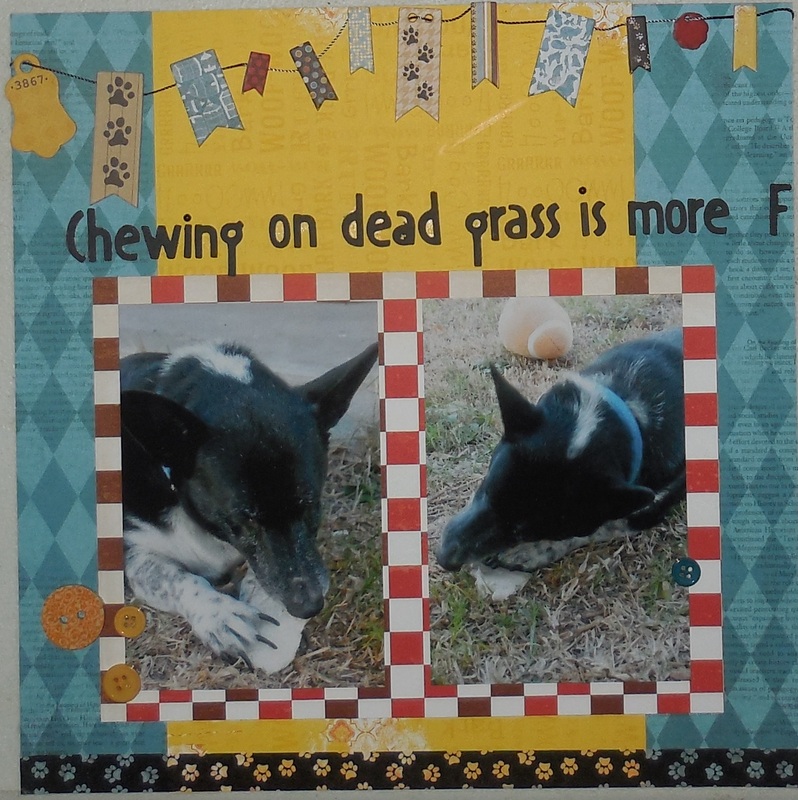 So if Jeffrey could talk and give someone advice, its that “Chewing on dead grass is more FUN than chewing on rawhide”. LOL! 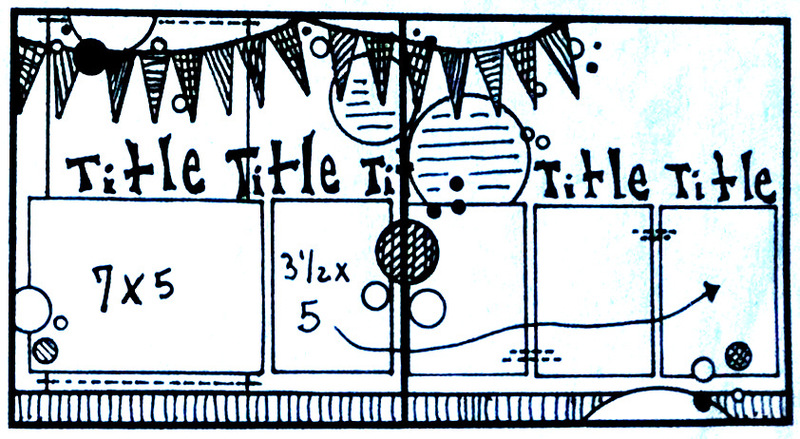 Since I went with a long title, I used Cricut cartridge “Opposites Attract” to cut it out. 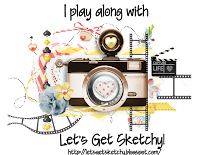 I absolutely fell in LOVE with the banner! 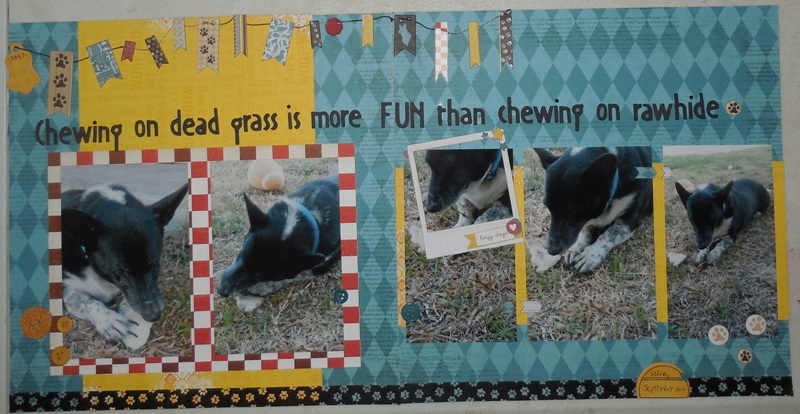 And since I used about 90% of the Bo Bunny “Happy Tails”, the chipboard pieces were perfect to make a banner! 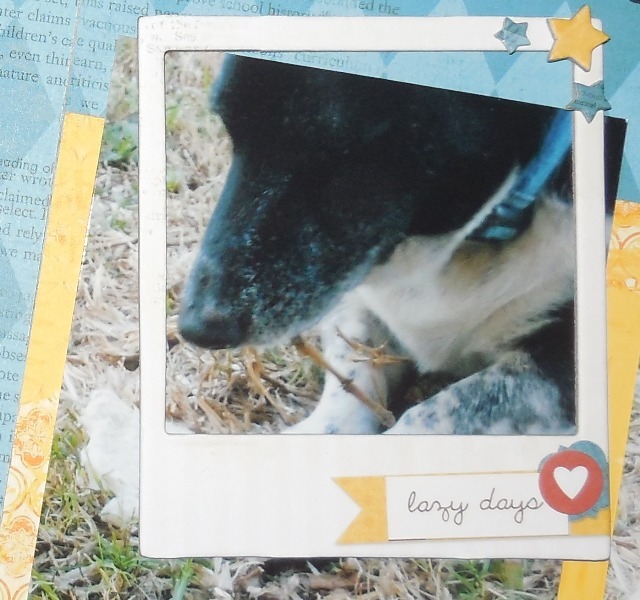 “Lazy Days” sticker with the little heart is from Simple Stories SN@P “Dog” collection and the washi at the bottom of the pages is by Queen & Co.